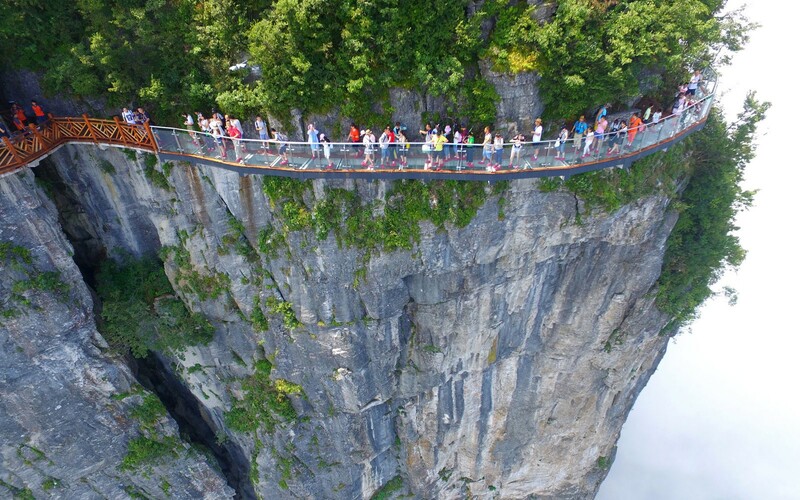 This Glass Walkway is about 4,600 feet above sea level and opened 1 August. The Coiling Dragon Cliff walkway is about 300 feet long, and just 5 feet wide. 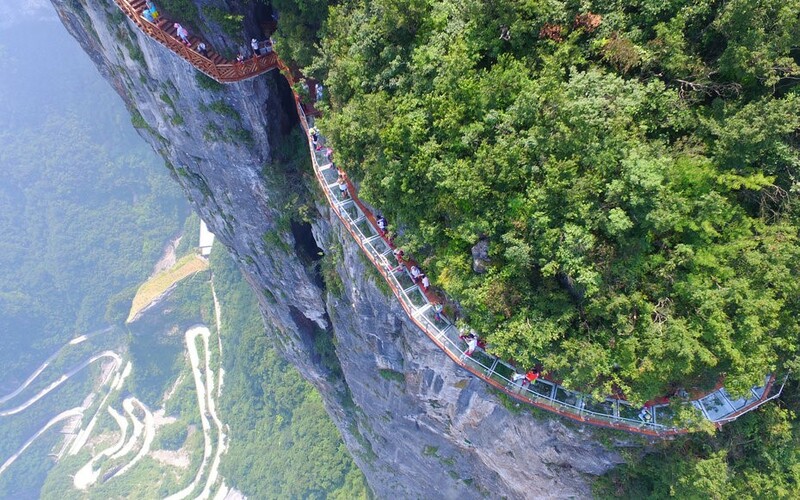 Even if the walkway were made of wood, metal or concrete, the views of the park would be gorgeously vertigo-inducing. The glass only adds to the effect.